4 Expert Opinions: Does More Content Marketing Mean Better Content Marketing? One of the things we discovered from the 2013 B2B Content Marketing Benchmarks, Budgets and Trends research is that usage of almost every content marketing tactic has increased over the last year. It may seem like great news that marketing teams are understanding and embracing content marketing. But what does this upward trend really mean? During Content Marketing World, several of our CMI consultants gathered to talk about the implications of the latest B2B content marketing research. In this first video of our roundtable discussion, Carla Johnson, Michael Weiss, Ardath Albee, and Jay Baer discuss whether more content marketing necessarily means better content marketing. Thanks to Steve Rotter, VP of Digital Marketing at Brightcove, for moderating the conversation. 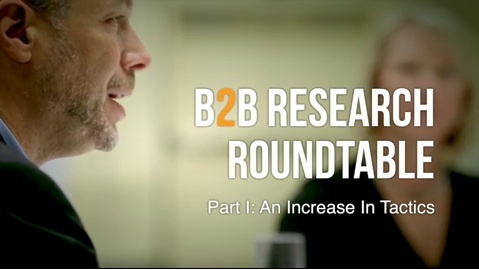 Do you want to hear more commentary on the B2B research? Sign up for our email updates so you don’t miss a post.